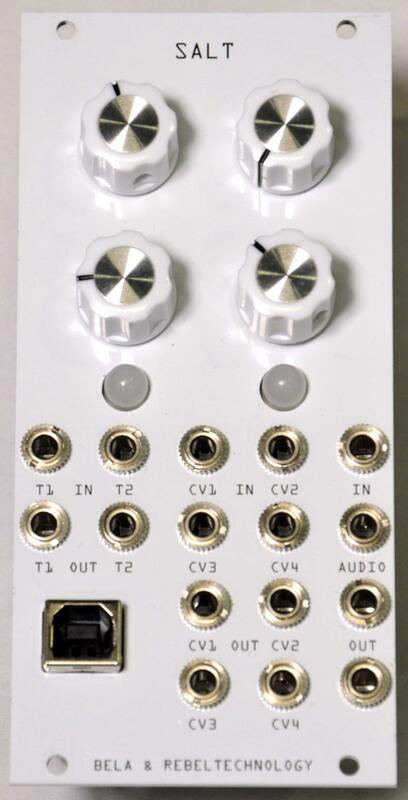 Salt is a Bela-powered programmable Eurorack module, developed in collaboration with Rebel Technology. Salt is a programmable module. As such, it can be anything you want it to be. An oscillator? A filter? A sequencer? A waveshaper? A MIDI-CV converter? A flexible utility module? Something completely different and crazy? Any combination of the above or more? With plenty of inputs and outputs, you can even assign different functions to different parts of the module and have them all run at the same time. The module is powered by Bela, and features a powerful 1GHz ARM processor with 512Mb of RAM running a customised real-time linux operating system, offering an unprecedented amount of processing power for a Eurorack module. By connecting the module to a laptop with the supplied USB cable you can use Bela’s sophisticated development tools (including browser-based IDE and oscilloscope) to program your own custom patches in a variety of languages including C++, Pure Data, SuperCollider and more. The module comes preloaded with a number of example patches to help you get started, and we offer help and support on our forum. 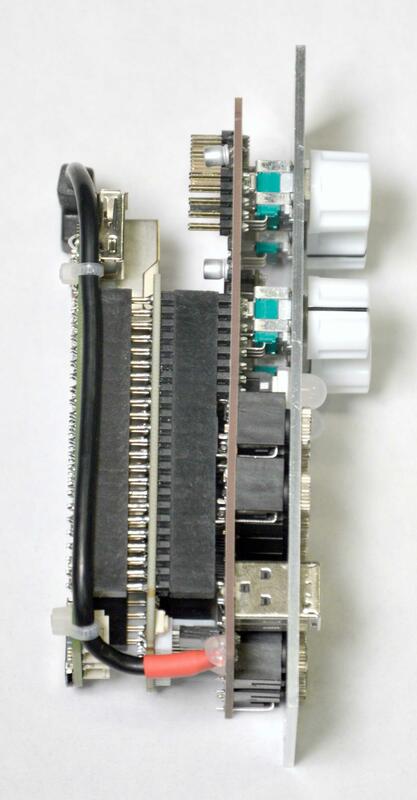 To increase the number of CV and trigger I/O and add a USB host port, take a look at Salt+, the expander module.